NBC quickly expanded it into a daily soap opera about the sorrows and joys of the Goldbergs and their friends, relatives, sweethearts and coworkers. The family observed Jewish holidays — there were episodes depicting Seders and High Holiday services — but religion did not seem central to their lives. The action occasionally went beyond the city to a fictional Jewish resort in the Catskill Mountains, much like the vacation spot that Berg’s parents had run when she was young. The series had a large Jewish and non-Jewish following. The Goldbergs had remarkable staying power. Except for one 18-month break, it would air as a soap opera from 1929-45 (five 15-minute episodes a week for most of those years). It then returned as a radio sitcom from 1949-50 and as a TV sitcom from 1949-55. There was also a Molly Goldberg movie and stage play, and several books based on the characters. During the show’s 1934-35 hiatus, Berg wrote and starred in another Jewish “ethnic series”: House of Glass, a weekly half-hour drama in which she played the owner of a hotel in the Catskills. 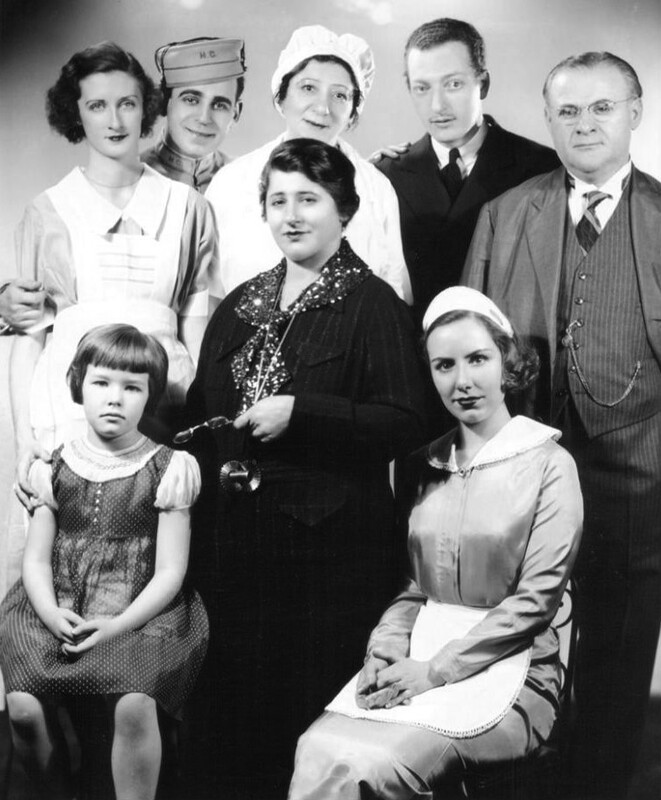 Cast of the 1935 run of HOUSE OF GLASS, an NBC series about life at a Jewish resort in the Catskills. It would return in 1953-54 with a different cast, again with Gertrude Berg (center) as its writer and star. The Goldbergs – April 21, 1942 – A stern lecture – 14 minutes. 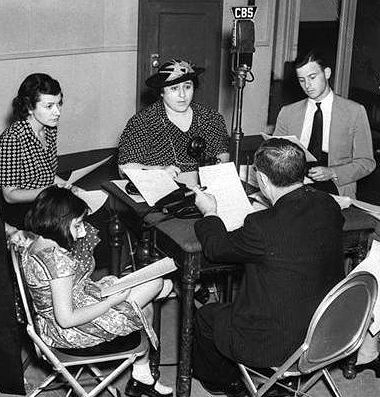 Cover from Radio Researchers’ free downloadable MP3 set of MAMA BLOOM’S BROOD. Little is known about this 15-minute series, not even its cast or writers. It was prerecorded in the Los Angeles area around the mid-1930s (possibly 1934 or 1937) and was sold to individual stations on discs. It aired in some U.S. cities as late as 1939, and in Australia in 1944. Almost all of its seventy-some episodes survive in good sound. Mama and Papa Bloom may be stereotypes, but they feel like a Jew’s own stereotype of Jewish immigrants. After all, I can’t imagine many non-Jewish writers or actors in 1930s America thinking to have the father, Jake, wander around humming “Hatikvah” under his breath. 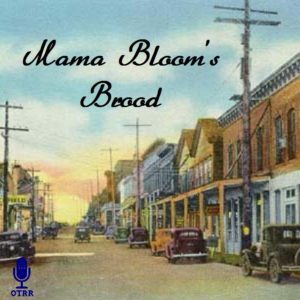 Mama Bloom’s Brood – mid-1930s – Going to the hospital – 13 minutes. 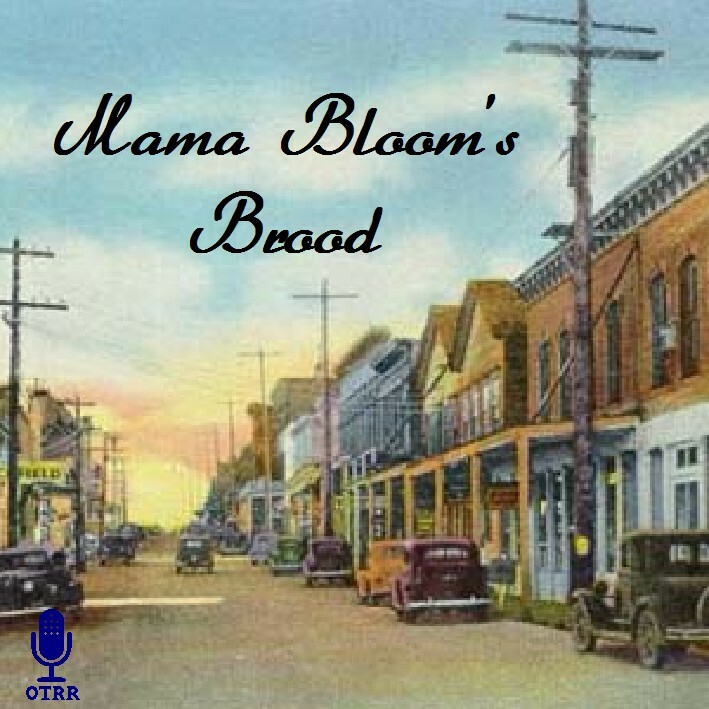 Dozens of other episodes can be heard on the Internet Archive’s Mama Bloom’s Brood page. This entry was posted in Ashkenazic Jews, Jewish families, Jewish immigrants in America, Media portrayals of Jews, United States and tagged Assimilation, Getrude Berg, Jewish family life, Mama Bloom's Brood, Molly Goldberg, Old-time radio, The Goldbergs. Bookmark the permalink.